We all know having a mentor can achieve great things in our lives. Did you know how it can effect the workplace? According to Dr. Tammy Allen, studies show that 75% of the top fortune 500 companies that have a formal mentoring program, 75% of the executives in these companies say mentoring played a key role in their success. Based on these facts we have highlighted some of the benefits within the workplace and some tips for you to consider to start planning a mentoring program at your organization. Because high potential employees have the opportunity to one day be in executive positions it is best to develop that potential early on. Mentoring for leadership development will polish their skills, expose them to different areas of business. Leveraging an internal resource for leadership will save an organization time spent looking for outside candidates and onboarding that candidate. Retaining and developing talented employees is an important business strategy to your company’s success. Mentoring for career development can help with this strategy. Whether it be a step up in the company, a lateral move, or a new direction all together, mentoring will equip your employees with the proficiencies they need to make the corporate climb. This is beneficial to the mentee because they could be paired with a mentor that can provide the mentee more exposure in areas they might not have access to. When an executive retires, you want to ensure that the ranks will not crumble, and that business will go on uninterrupted. Transferring knowledge through mentoring allows an employee at a higher level to pass along their skills and proficiencies to those who could benefit from it. This style supports short and long-term relationships, thus reducing commitment time and ensuring the focus is on transferring said skills. A valuable way to bring some new ideas and flourishing creativity within your organization is diversifying your workforce. Mentoring for diversity helps to align business strategies, spur a creative junction and simulate innovation. Mentoring allows employees to learn the importance of cultural awareness and enables a diverse range of employees to share opinions, knowledge and ideas in their field. This is important because it allows others to take a different perspective on problem solving, and enhances workplace camaraderie. • Buy-in / Funding: You’ll need executive backing to fund the program in its entirety. Oftentimes, the stakeholders who wish to launch a program don’t realize what a well-tailored program will cost. • Focus: If you know mentoring is a good thing but you don’t know why you need it, the program will fail. Make sure you agree on the objective of the program. Leadership development, career development, knowledge transfer are some examples of potential program focuses. 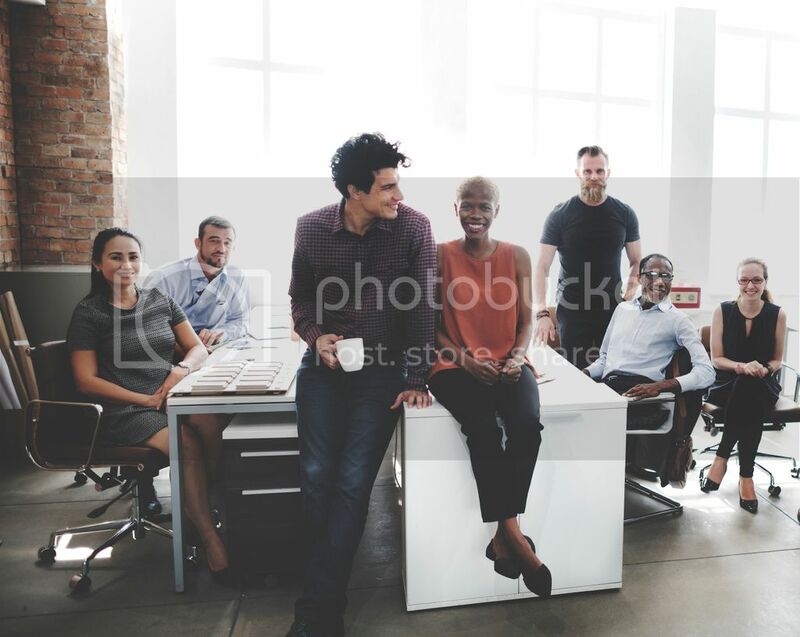 • Communication: Building the support infrastructure and engraining it within company culture lets employees know that it is not an exclusive club. • Recruitment: When asking mentors to spend extra time doing something unpaid, it is imperative to make sure you can attract dedicated volunteers the right way. May sure in your recruitment campaign, mentors understand why you are doing this, and what the benefits are for them. • Time: Natural mentor relationships typically last 4-5 years, and formal ones typically last from 6 months at minimum, throughout an employee’s career within the organization, according to the United States Office pf Personnel Management. Remember that you’re asking a relationship to evolve rather quickly. • Mentor Matching: There needs to be a matching software to make sure the mentee is properly matched with the correct mentor. A negative experience can taint your mentees. Examples of “bad” mentors include: mentors who can be tyrannical, a bad mentor-mentee match, an incompetent mentor, and a mentee who feels neglected (mentor is too busy). Mentoring in the workplace can have long-term benefits as employees become more self-directed and develop stronger communication and problem-solving skills. This allows for a business to become more creative and focus its attention on growth, rather than training. Mentored employees value collaboration and sharing of information, which can lead to a stronger organization. Mentored workers are also apt to become involved in professional organizations that further both their careers and the industry. They could even become mentors themselves one day. Insala has been working with countless organizations across many fields to implement mentoring programs. For more information about making mentoring in the workplace company culture, or to schedule a demo today, visit Insala today.